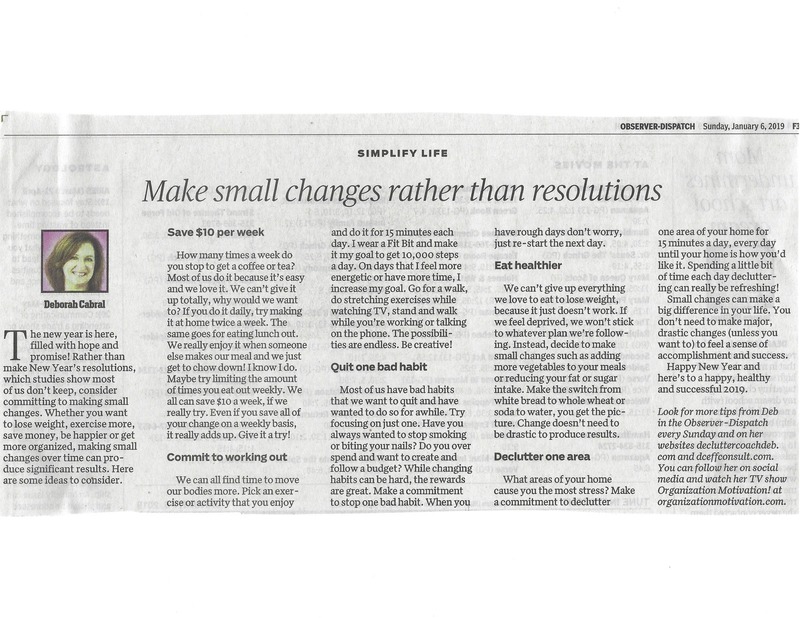 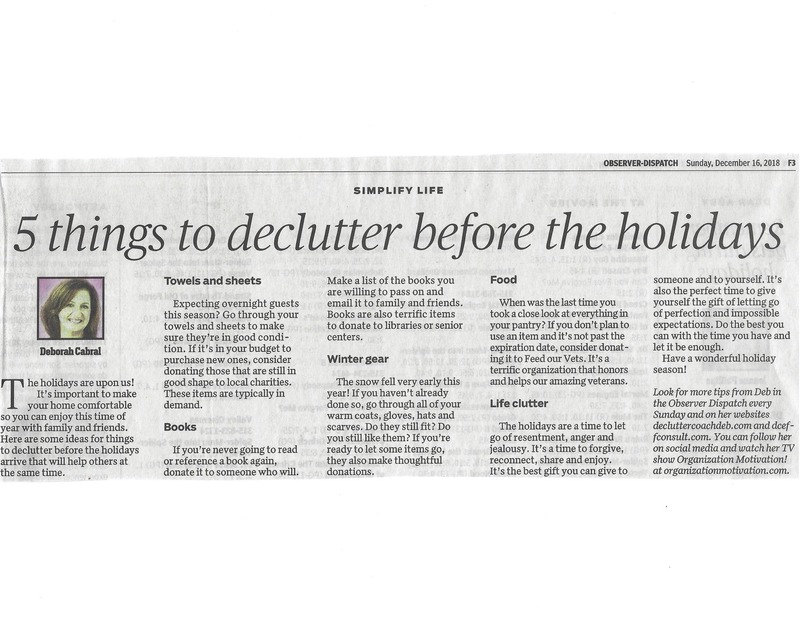 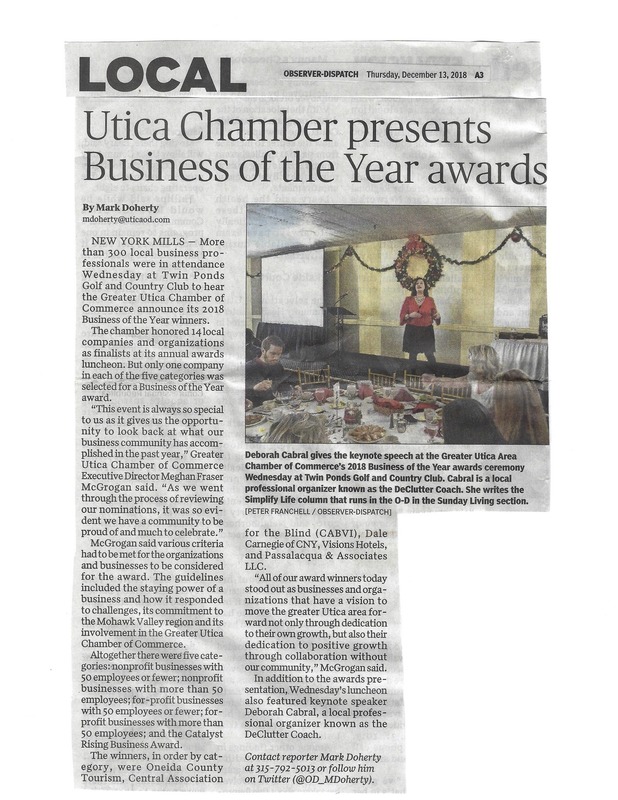 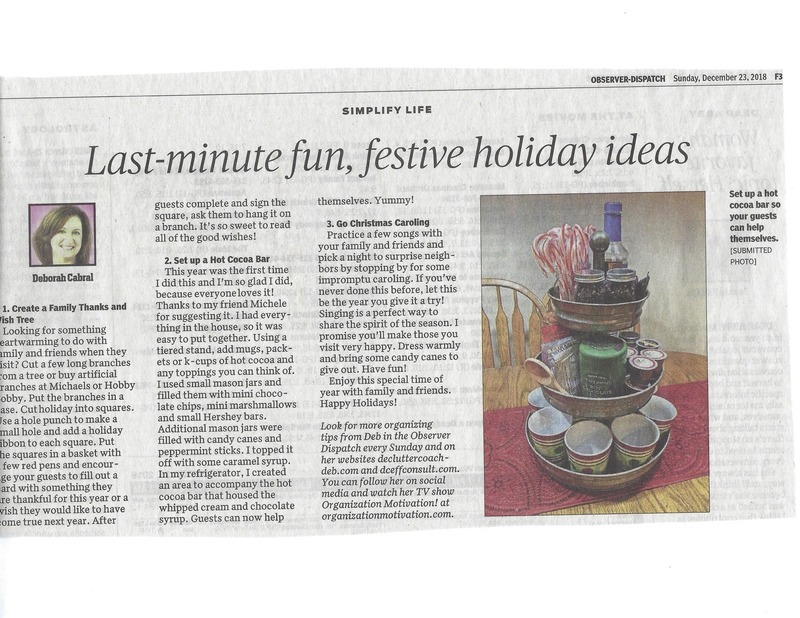 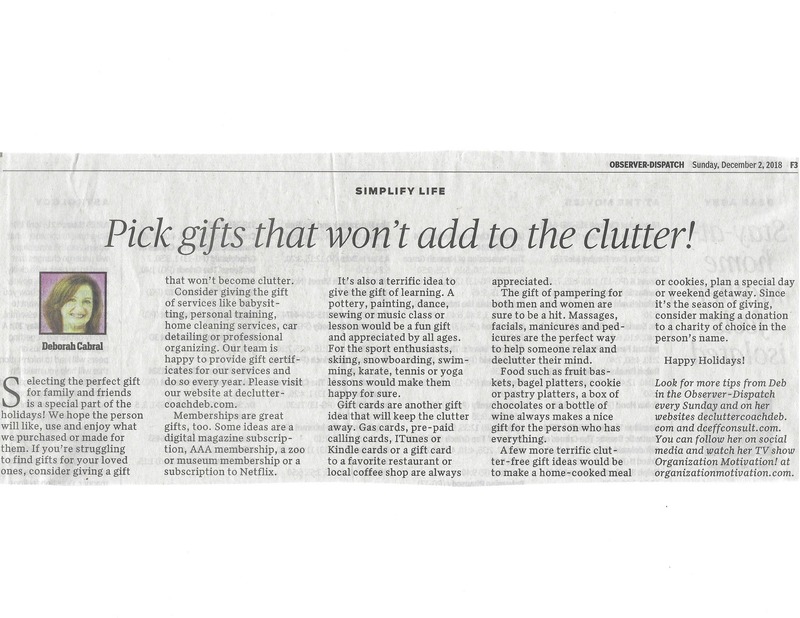 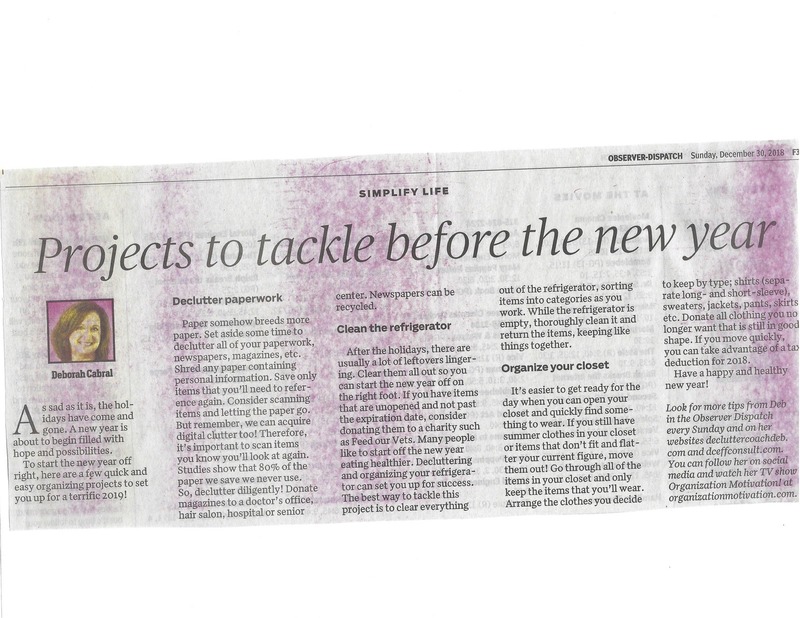 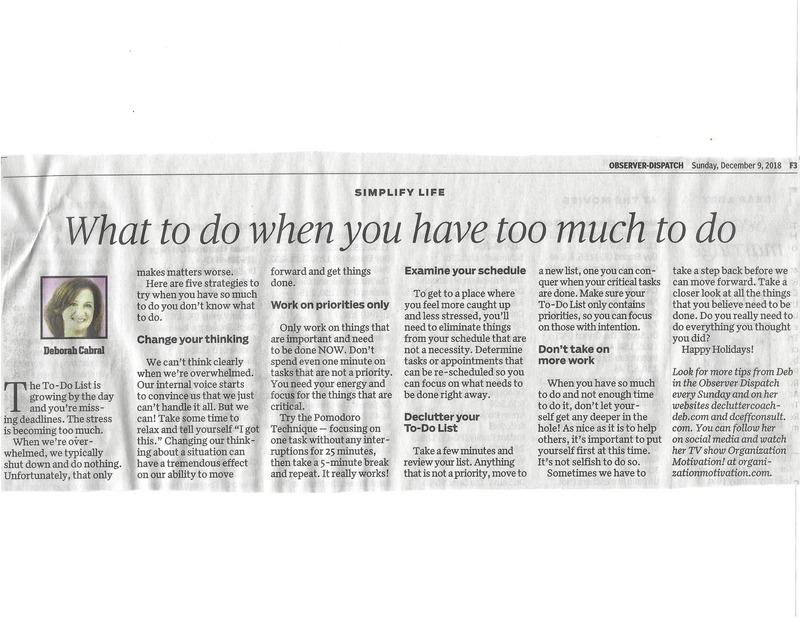 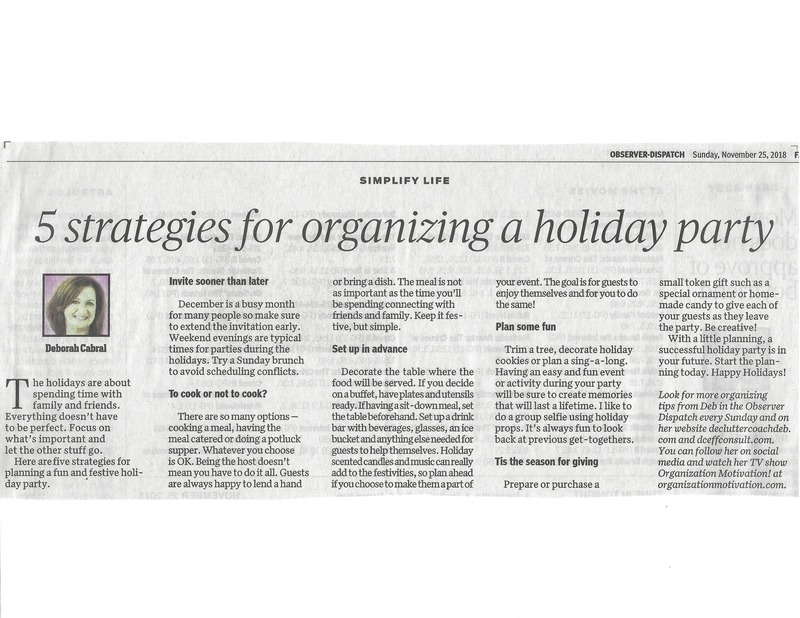 Utica Observer-Dispatch, Utica NY – Pick Gifts that Won’t Add to the Clutter! 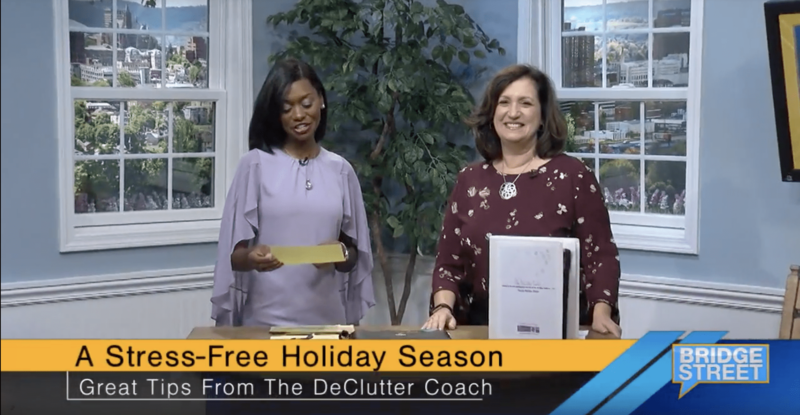 Bridge Street, Syracuse, NY – Holiday Tips for More Organization and Less Stress! 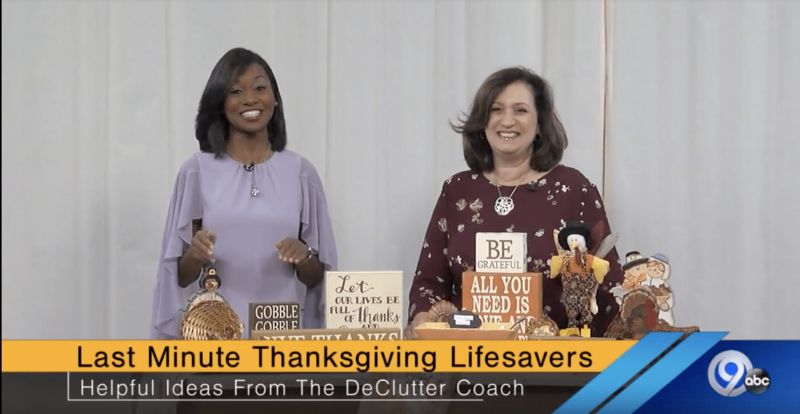 The DeClutter Coach, Deb Cabral, appears on WSYR-TV’s “Bridge Street” to share some great last-minute Thanksgiving lifesavers.